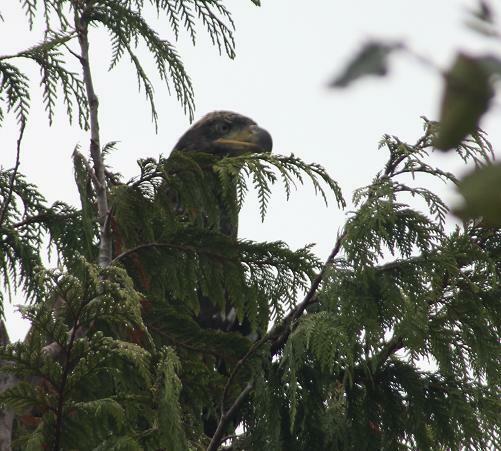 It does not matter if we are on a grizzly bear tour, whale watching or on a trip to Trapper Rick’s on the extra day in camp guests are always looking for bald eagles. The eagles white head is easy to spot as we run along the shore to our destination. What is hard to see is the immature eagles, which do not start getting their white feathers until their third year and do not have a full white head until their fifth. Juvenile bald eagles are a mixture of brown and white with a black beak in young birds. The adult plumage develops when they are sexually mature. Once we have reached either the grizzly bear viewing area or the location of the whales and we have stopped to view the wildlife it is much easier to find the juvenile eagles along the sore. As this photo taken, on a whale watching tour shows orca has a very distinctive coloring. While these markings are beautiful, they do have a very important purpose. The quote from “The Orca Ocean” website is a good explanation. “The first thing the orca’s markings do is to help break up their shape in the water. This is known as Disruptive Coloring. Close up the orca is quite visible in the water. 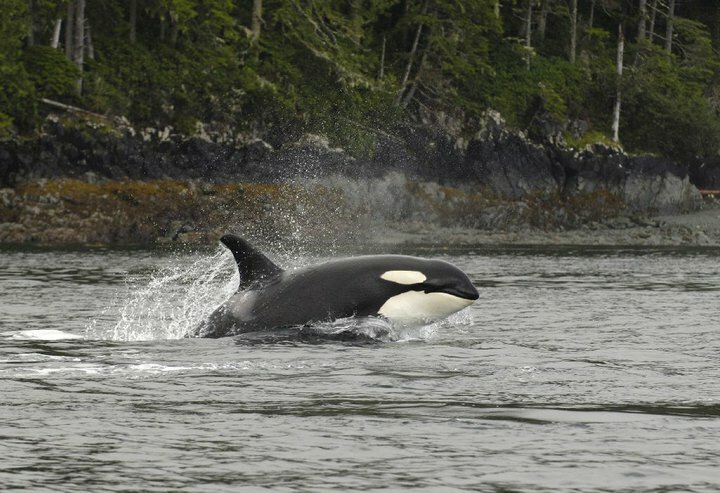 However, when the orca gets further away, the white spots help to make the orca look like a collection of smaller animals, thus fooling their prey. Another bit in fooling their prey the eye patch. Animals that are being attack will instinctively go for the eyes. Sharks protect their eyes from seals and sea lions with membranes that come up and cover the eye. Orcas, however, have the large eye patch that the prey will focus on and therefore leave the actual eye unharmed.